Van Chiu has made Best Asian Market one of the big draws in the Sprague Union District. The shelves of Best Asian Market are stocked full of noodles, cans, sauces and other brightly packaged goodies printed with characters that are unfamiliar to non-native speaking customers. It all seems to jump out at you inside the building that was first built as a grocery store more than 80 years ago, located in Spokane's newly rebranded Sprague Union District. The market is big — nearly 6,000 square feet — offering its mostly Asian customer base a little bit of everything. But even though owner Van Chiu is from Vietnam originally, the market doesn't focus on any one nationality or product. Chiu and his family emigrated from Vietnam to a refugee camp in Thailand in 1979 and ultimately landed in Los Angeles, where he grew up. Chiu would later study civil engineering and earn his Ph.D. from UCLA. The firm he was working for after college eventually closed shop, so Chiu decided to take a year off to be with his siblings in Spokane. The break didn't last long, though, as Chiu soon saw a business opportunity at Best Asian Market, formerly Bay Oriental Market. He purchased the market in May 2003 as a business venture for his family. He didn't plan to stay for long, but he's kept busy 15 years later. The real reward of the business has been the opportunity to give back to the community: Almost all of the market's 10 or so employees are immigrants or refugees from Asian countries, Chiu says. The market also regularly makes in-kind donations to benefit St. Anthony's in Spokane, a church with a large Vietnamese population, as well as the Spokane Buddhist Temple. "I come from an immigrant family," says Chiu, "[and] one thing we pride ourselves in, we hire other immigrants who [are] fleeing persecution. Quite a few of them work for us." Find Best Asian Market at 2022 E. Sprague Ave., 534-9300. This German, Austrian and Bosnian grocery store sells a variety of foods from those countries, and makes all its desserts — even marzipan and baklava — from scratch. Here you'll find plenty of pantry staples for Japanese and Korean cooking, along with a wide selection of vegetables, noodles and kimchi. This longtime institution specializes in cured meats and hard cheeses imported from Italy. Cassano's also operates an in-house deli counter and a catering kitchen. This local mini mart is stocked full of Middle Eastern delights like dried dates, baklava and traditional ingredients, such as fava beans, olive oil and halal foods. De Leon Foods stocks a massive variety of traditional Mexican and Latin American products — cheese, milk, yogurt, sour cream and Mexican sodas. This Russian market with shelves full of treats and products from all over Europe also has a bakery that serves fresh-made cabbage, potato and meat-filled piroshkis. Here you'll find all the essential ingredients for cooking many traditional Mediterranean and Middle Eastern dishes, such as Greek yogurt, halal meats, lentils and more. This market sells traditional ingredients and brands from Russia and nearby countries, along with a variety of breads, herbal extracts and vinegars. This authentic Mexican restaurant also houses a mini mart stocked with traditional Latin ingredients so you can try your best to replicate the restaurant's flavors at home. 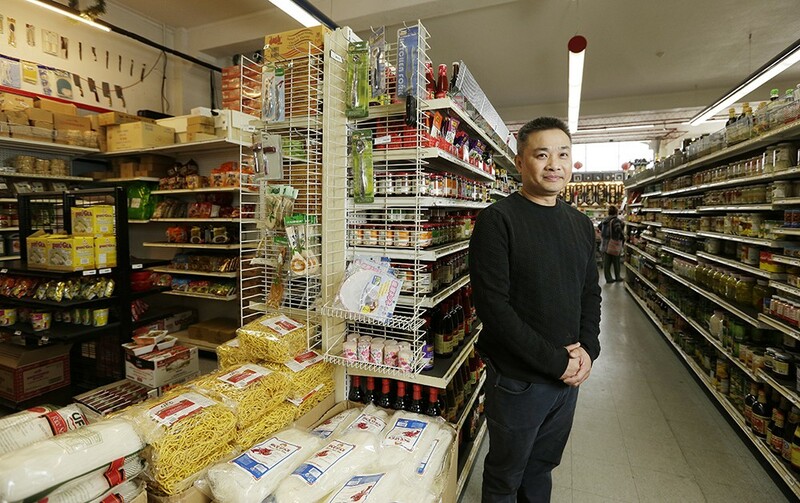 This family-owned and operated Asian market opened back in 2004 and has become known for offering hard-to-find items commonly used in authentic Asian cuisine. This is a popular go-to for fresh fish, ice cream treats, hummus, cheese, milk, baked treats and other products from all across Europe, including bread and meat. This Middle Eastern store sells a variety of foods, meats and Mediterranean dairy products, like Gaimar and Valbreso brands. Here you'll find smoked fish, imported sausages, jars of pickled eggplant, cheeses and dumplings, along with freshly baked rye, cakes, chocolates and specialty food from Russia. This market, deli and bakery sells bulk ingredients at wholesale prices along with specialty products such as Amish rolled butter, raw milk and farm fresh eggs. This market offers a wide selection of meats, sweets and branded, imported products from Russia, Germany, Bulgaria, Ukraine and Israel. A one-stop-shop in North Idaho for organic and natural Korean, Chinese, Thai and Japanese ingredients, the shop also offers teas, energy supplements, Asian diet food products and spices. Locally owned since 1977, this Asian foods market sells a variety of specialty produce, including persimmons, pomelos and lychee and other ethnic products, such as ramen noodles. This Asian grocery store serves the Moscow area with fresh vegetables and other traditional ingredients, like spicy pickled bamboo, sesame paste, tofu and kimchi. This Palouse vendor sells Middle Eastern, Persian, Indian and Bangladeshi pantry items, including halal meats, vegetables and dairy products. This Asian market on the Palouse stocks goods needed to make a variety of authentic dishes, including samyang spicy cheese noodles, kimchi and butter chips. This grocery is filled with Asian fruits and vegetables like dragon fruit, bitter melon, kohlrabi, and breadfruit, along with staple ingredients including fish, rice and noodles.